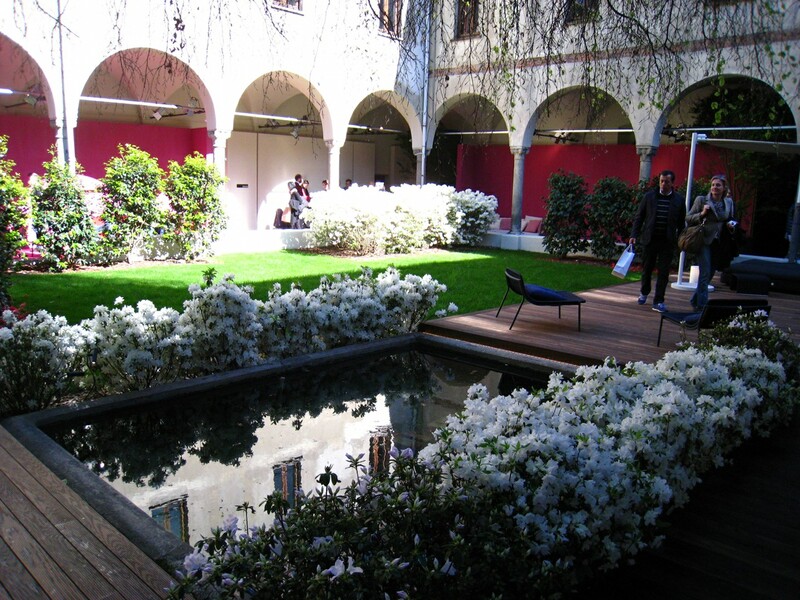 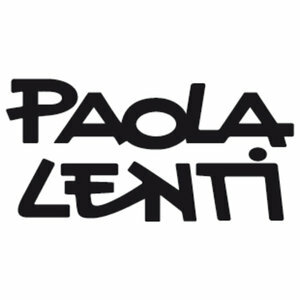 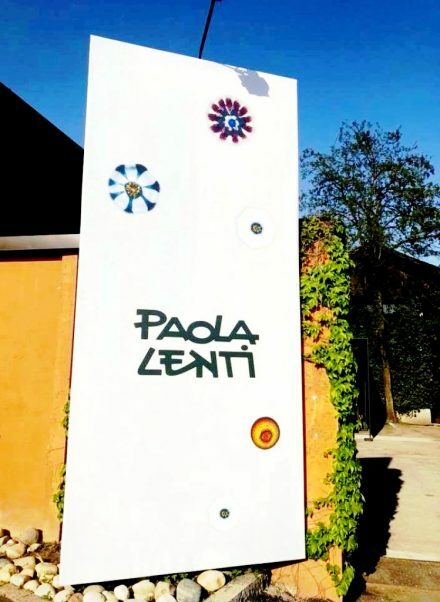 Paola Lenti presented several proposals and materials to better explore the world of colours and the sensory dimensions of their new products. 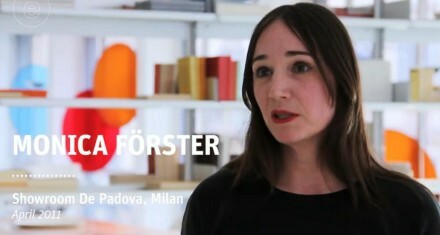 Home Indoor Collection introduced new solutions for the living area like Kimono (design Francesco Rota), a modular sofa offering great comfort, or Pillar (design Victor Carrasco) a sofa featured by countless sartorial details, and Ribbon (design Claesson Koivisto Rune with Studio Bestetti), a series of versatile large seating. 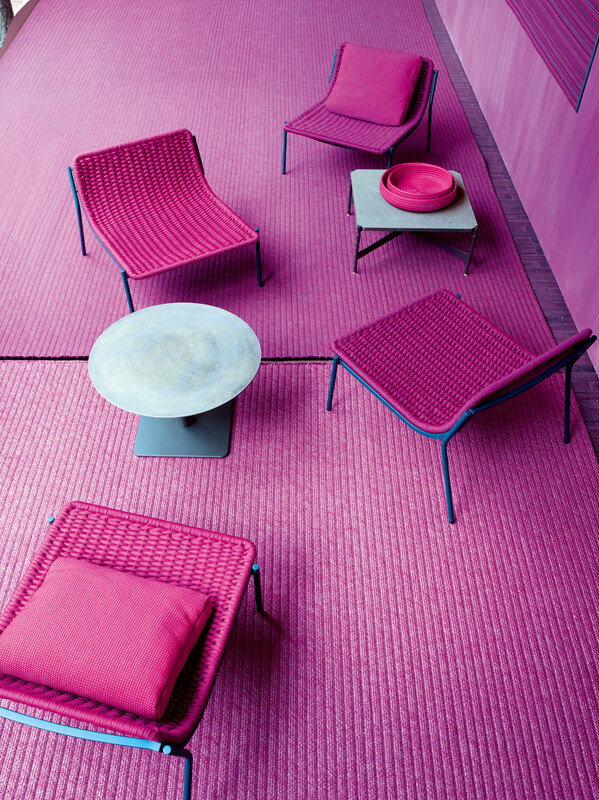 Francesco Rota (designer) continued the ‘more than 10-year-long’ collaboration with Paola Lenti whose stylistic, identifying feature is ” the functionality of indoor and outdoor items in which the balance between research into materials, simplicity of shapes and the character of colour/aesthetic choices becomes an unmistakable quality ” – marked this year by some reinterpretations and by the extension of ongoing collections. 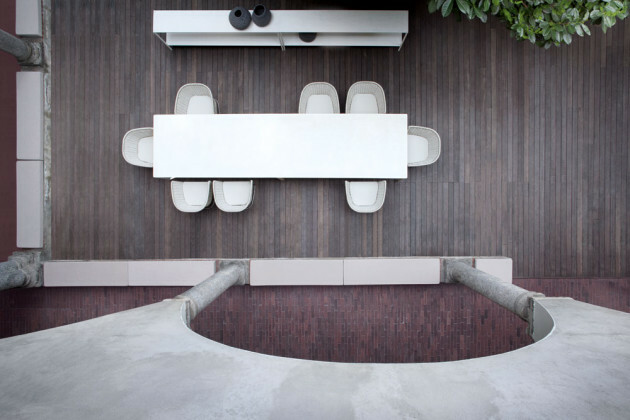 Series composed of two and three seats sofa and modular elements. 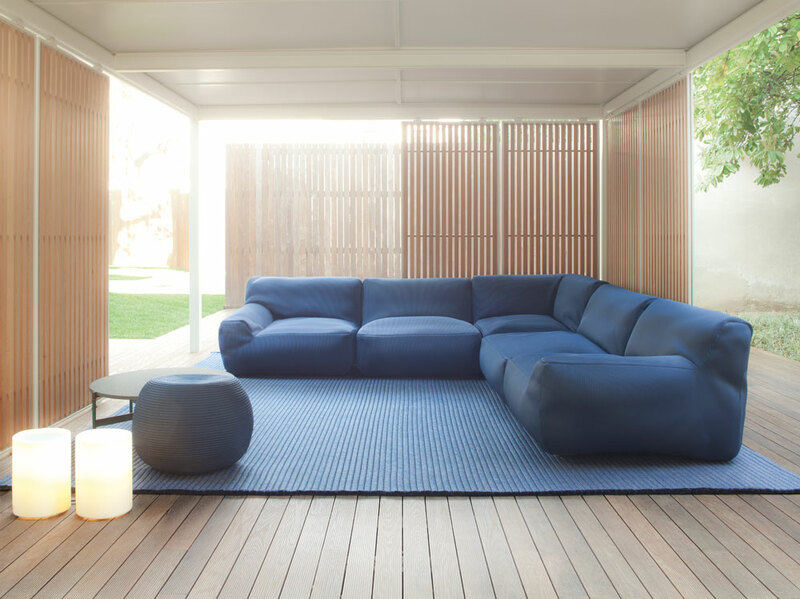 The new sofa designed by Francesco Rota for Paola Lenti has reduced dimensions, nonetheless it offers excellent comfort. 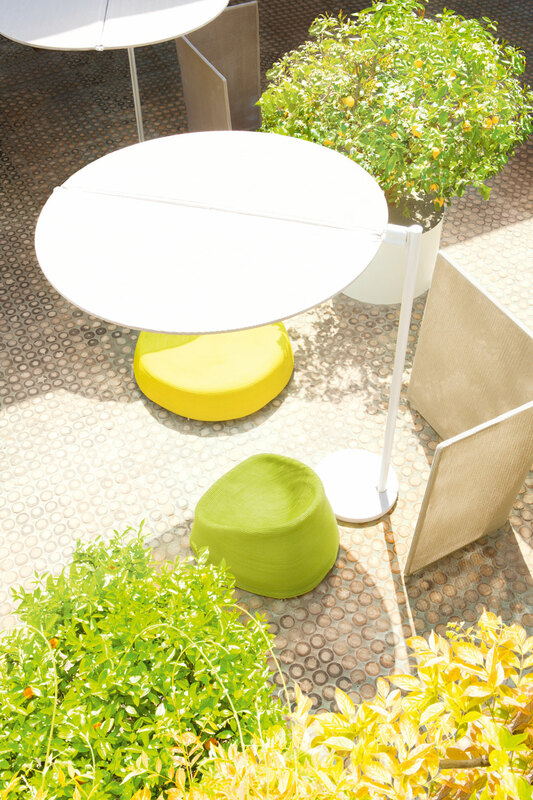 The backrest structure is made of spring steel which adapts to the body allowing for a particular support ease. 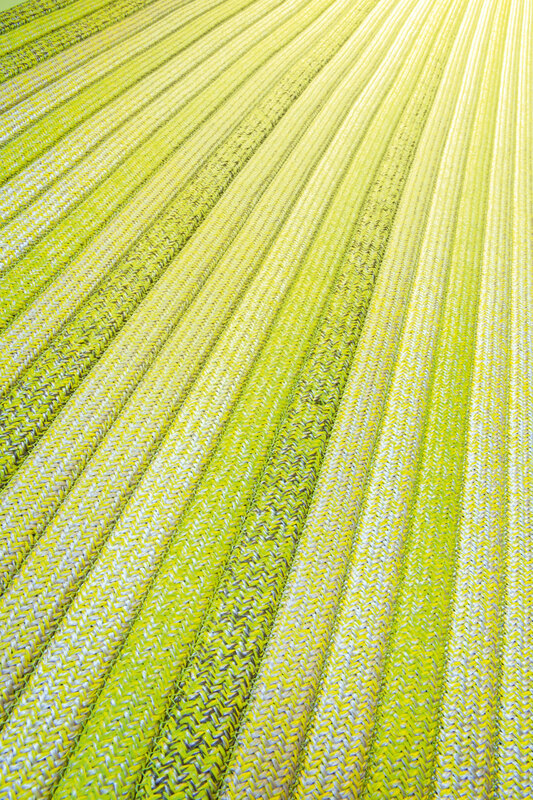 Kimono has fully removable cover available in all the fabrics in the collection. 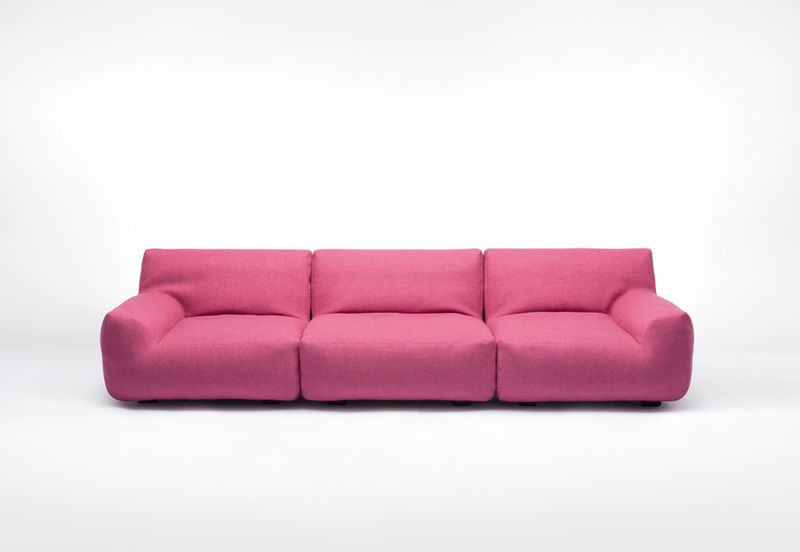 Series composed of three seats sofa and modular elements. 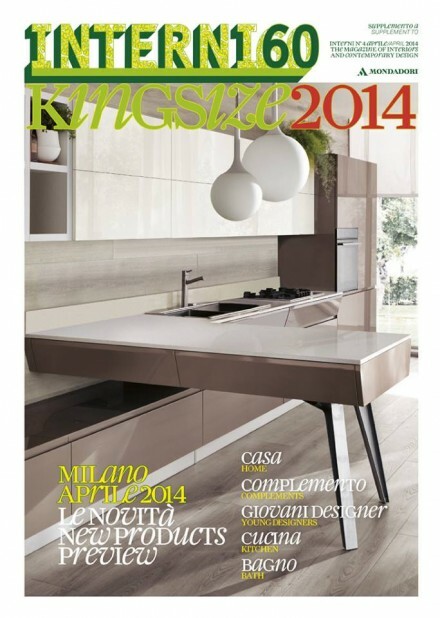 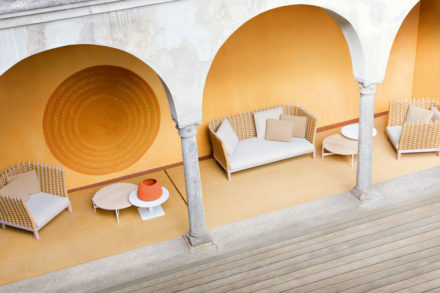 The young designer Victor Carrasco creates for Paola Lenti a sofa featured by numberless quality tailoring details. 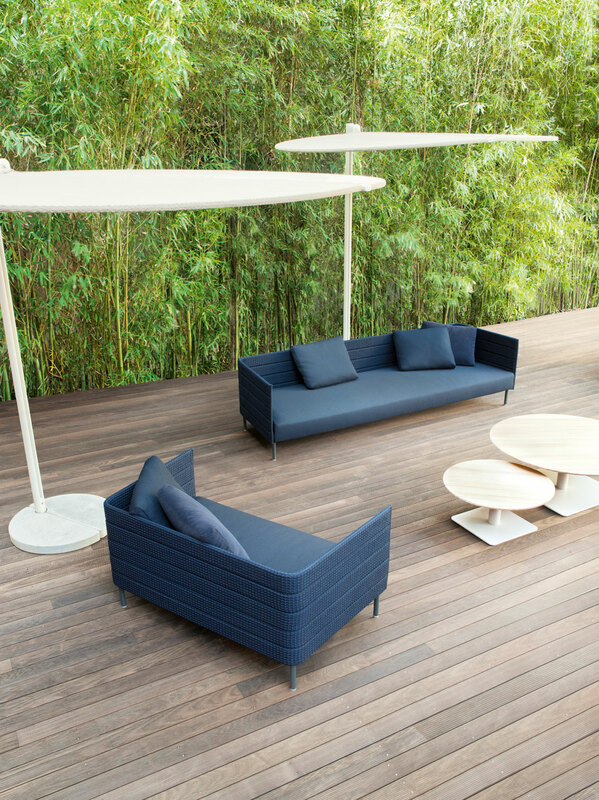 The structure made of steel varnished in light gray, dark grey or orange colour; a removable upholstery cover seat, arm- and backrests. 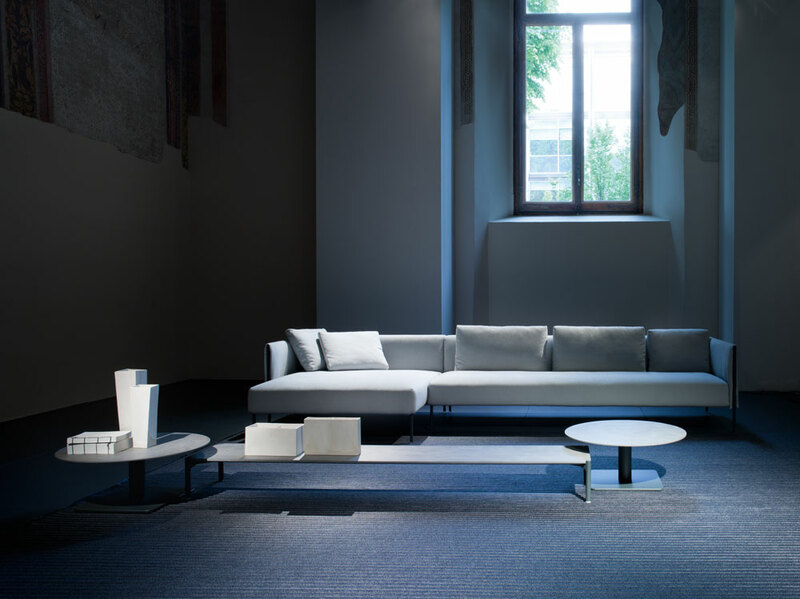 The sofa can be completed with cushions in different sizes, which allow for the creation of a play of different dimensions on the backrest. 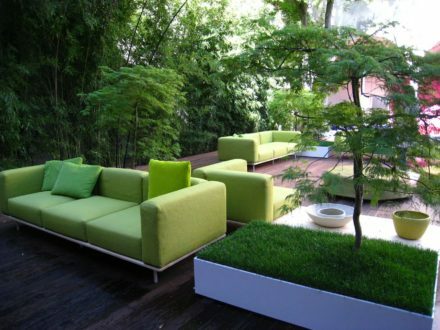 Service wooden shelves varnished in the same colour of the structure can be added both to the sofa and the seating elements. 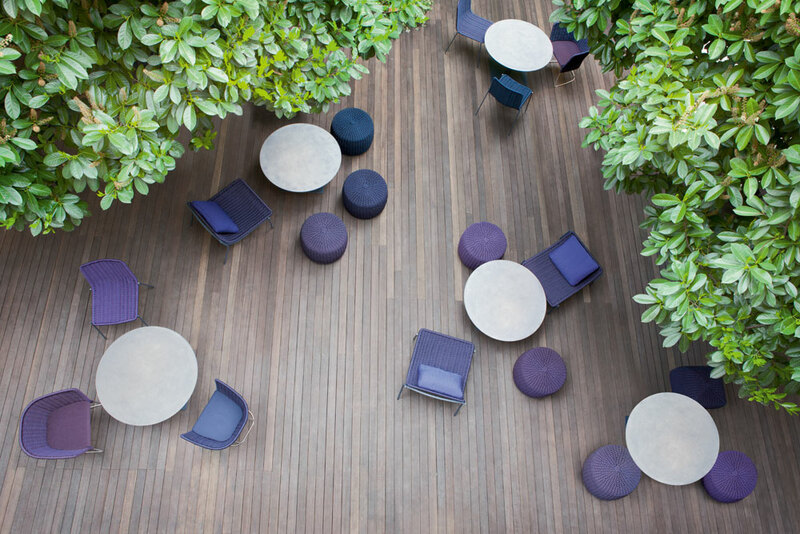 Series of large seating pieces to complete with single or grouped backrests. 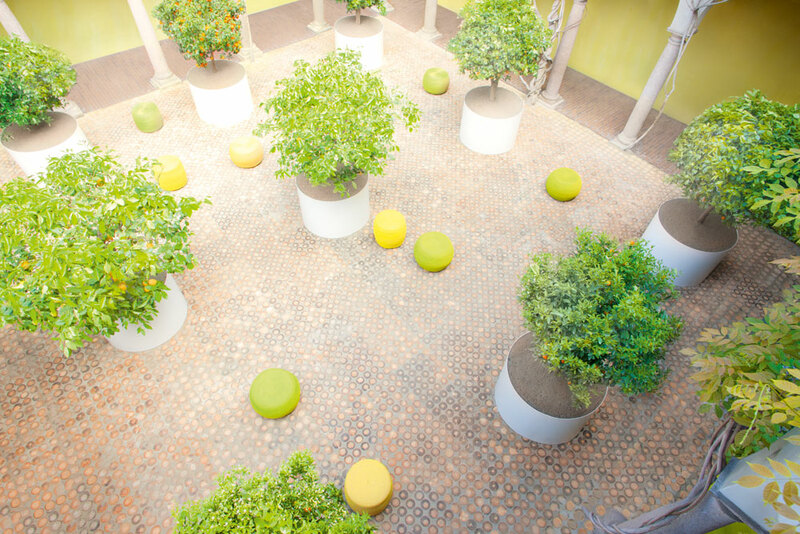 The seating platform is available in different dimensions; each of them can be completed with single cushions or with groups of cushions joined together which can be positioned on the platform as desired. 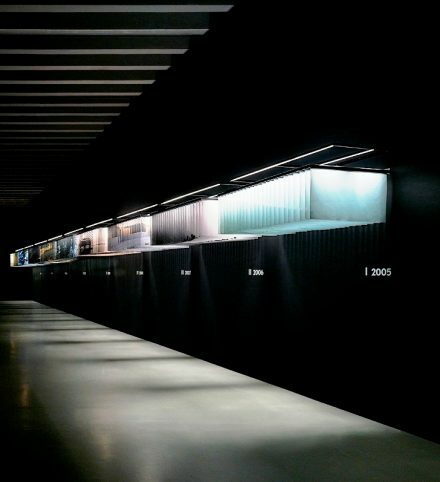 This way each element can be a different appearance each time, according to personal requirements. 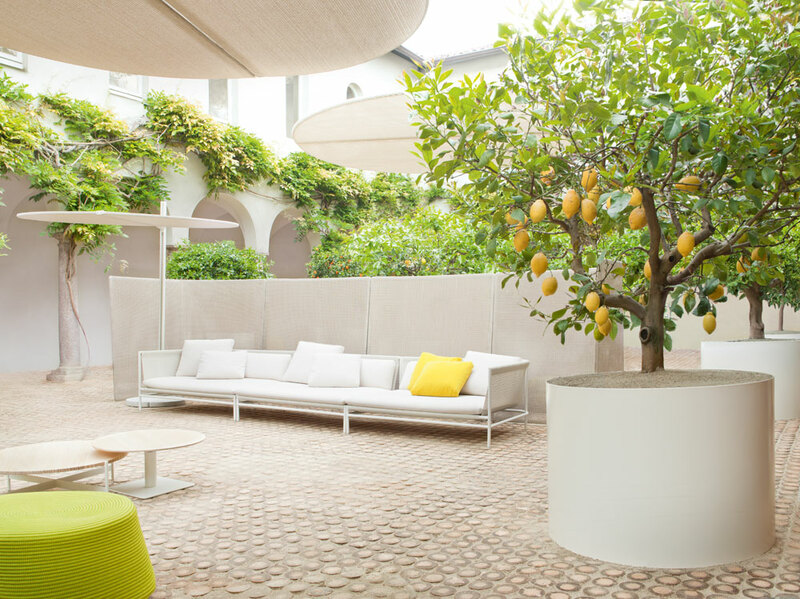 The cushions can be used both as arm- and backrests and are ballasted so as to keep the selected position and to guarantee the ideal comfort. Sectional sofa for interior and exterior environments. 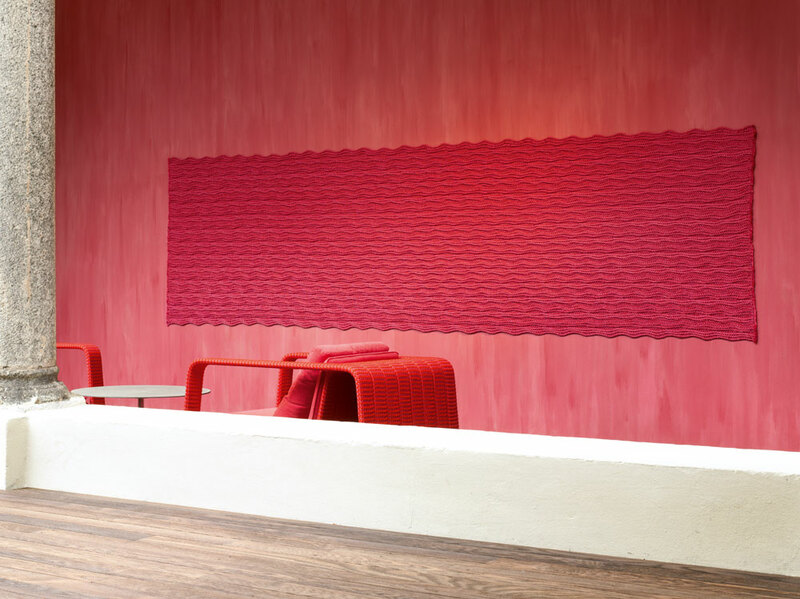 Souffle is a versatile system of modular elements which combine the peculiarity of the padding materials with the possibility to create compositions suited to any requirement. The system consists of central and corner elements, chaise longue and pouf. 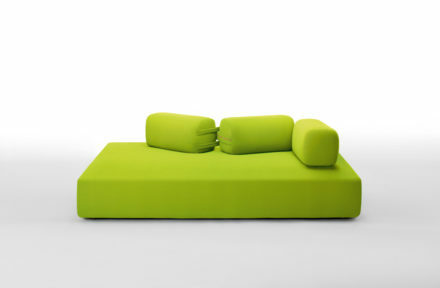 The padding confers to the seating collection the same softness and comfort of the Float elements, but it is supported by an internal shell made of thermoformed ABS and it is composed of a mix of polyester fiber and polyurethane for the interiors, in the usual polystyrene spheres for the exteriors. 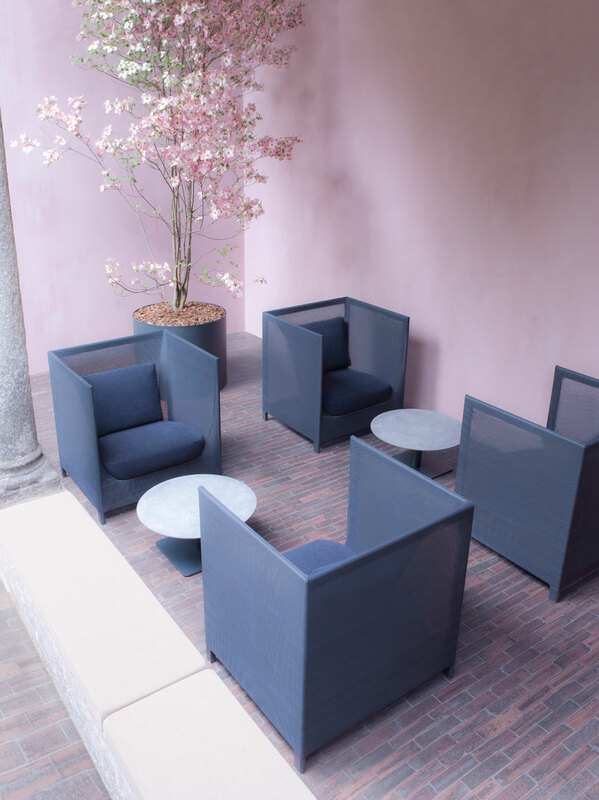 All elements have removable cover and are available in a selection of fabrics for the interiors, in the fabrics Light, Rope M and Aquatech for the exteriors. 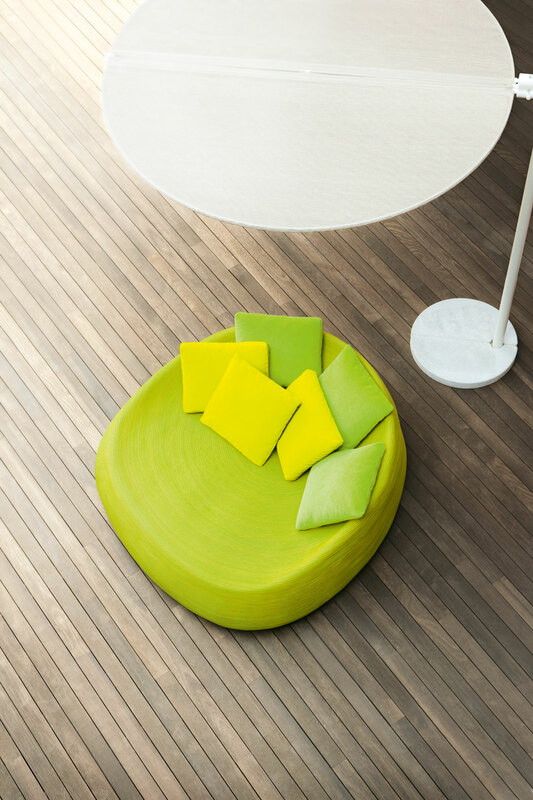 Wooden bank which can be equipped with arm- backrests and seat cushions. 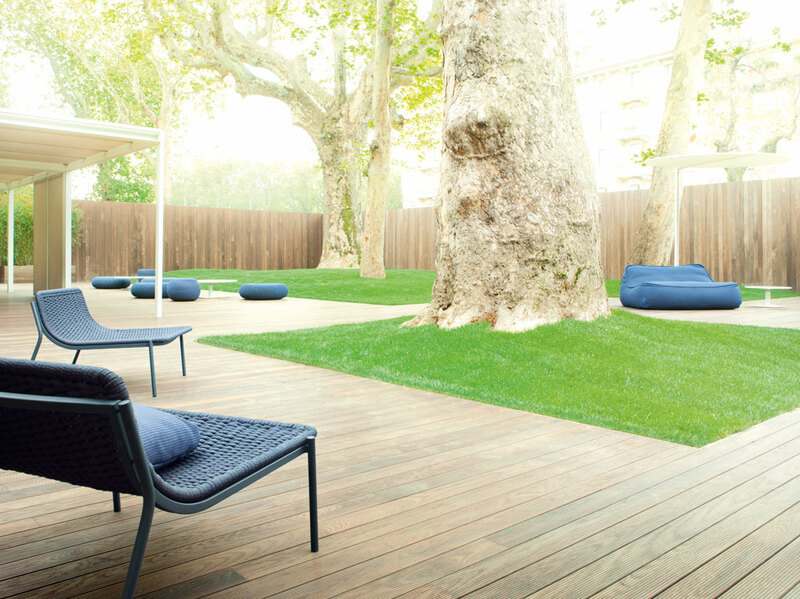 The Pier system allows for the creation of different elements with the same base: a bench in Accoya ® wood with varnished steel feet is the base of the system: it is provided with holes at a constant distance where it is possible to insert arm and backrests, to be completed by seat and back cushions. 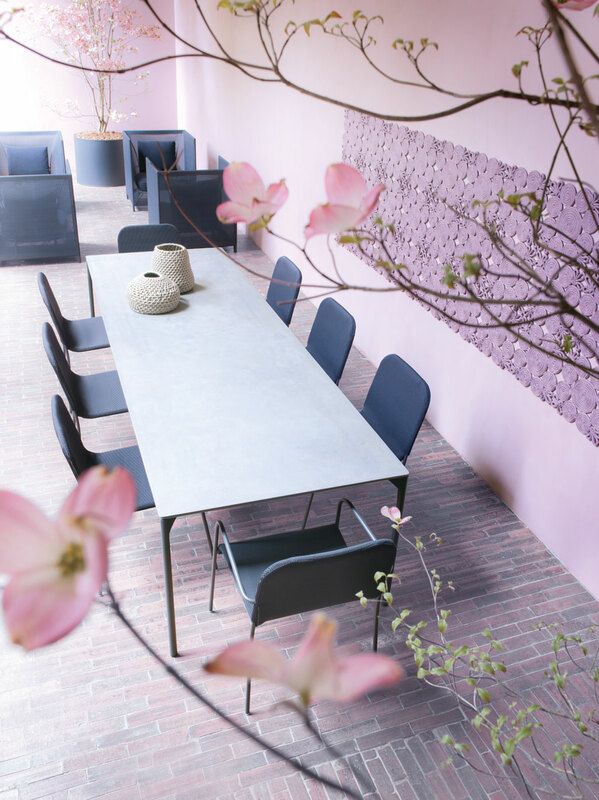 The bench can be used also without cushions and can be completed by a flower holding box made of varnished steel available in avorio and grafite colour. 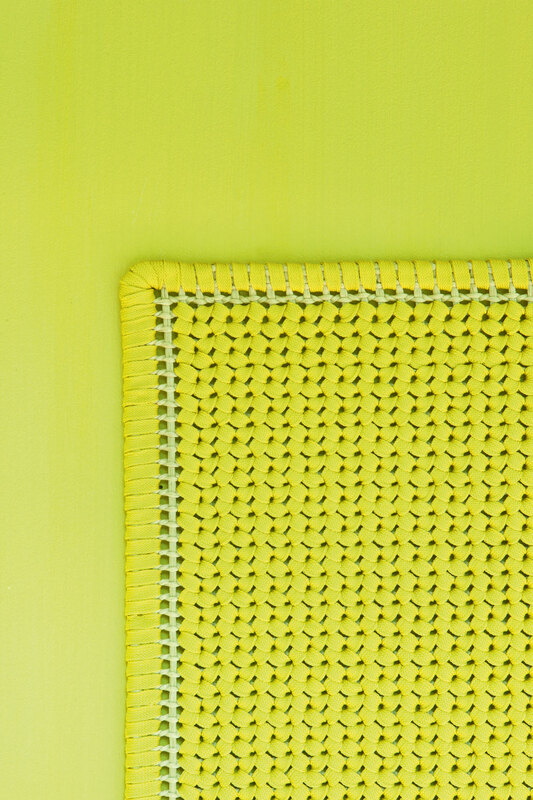 The upholstery cover is removable and available in Luz and Rope T fabrics, specific for the outdoors. 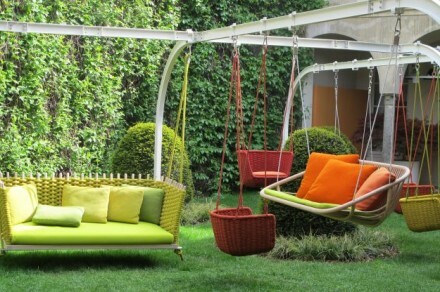 Swing with steel structure and hand woven upholstery. The steel structure is upholstered with one or two-colour Rope cords, Aquatech or Filodry cords, The swing is supplied complete of suspension cords filled with highly resistant high tech yarns and fastening system in stainless steel AISI 316. 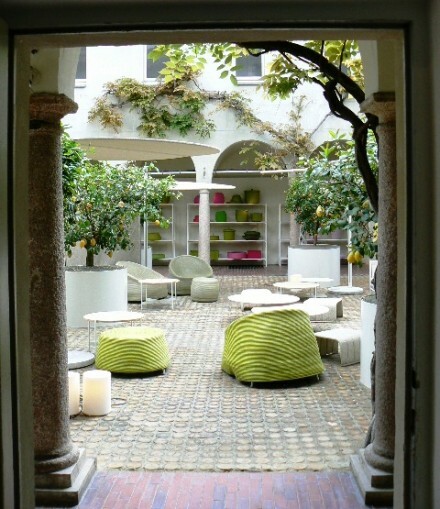 A seat pad is available with removable cover in Luz or Rope T fabric, specific for the outdoors. 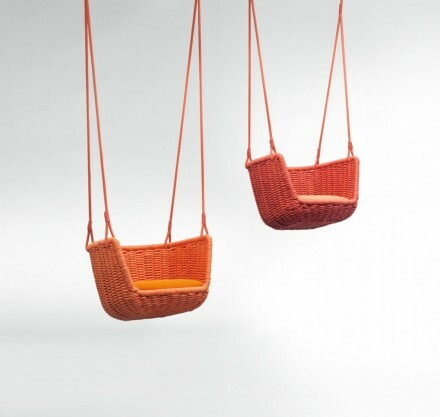 One and two seats lawn-swing made of Sassafras wood. 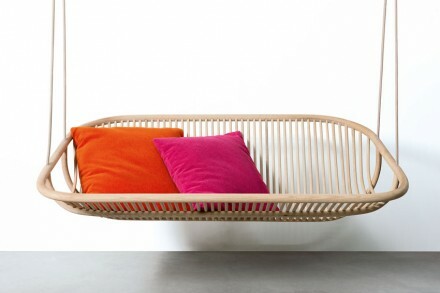 From the cooperation with the Dutch designer Edward van Vliet this light and peculiar lawn swing has come to life: it exploits the characteristics of Sassafras wood on one side; on the other, it embrace fully the outdoor concept that the Company Paola Lenti has been developing and renewing for a long time. 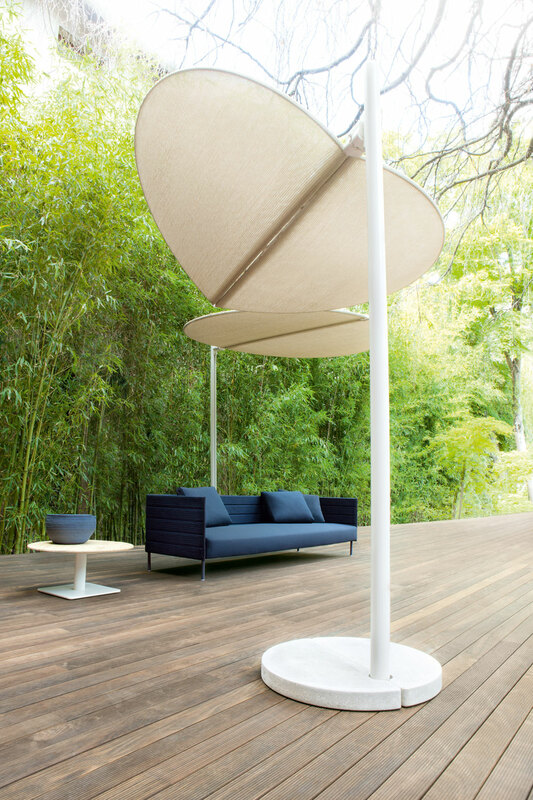 The unusual structure is made of wood and is completed by stainless steel ropes covered with high tech yarn and by a polyurethane seat pad with removable cover available in the exclusive Luz and Rope T fabrics, specific for the outdoors. 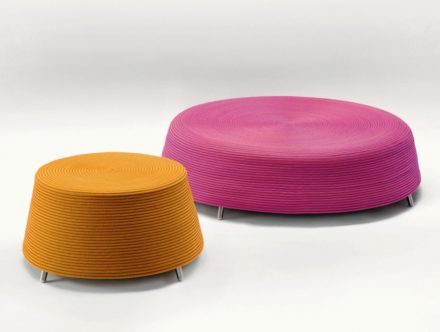 Series of poufs with cord upholstery. 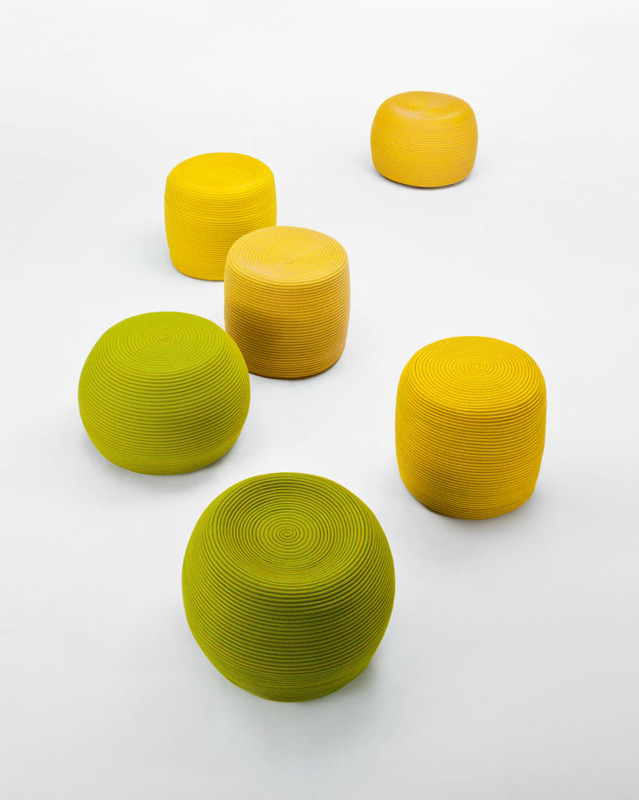 Padded with polystyrene spheres encased in a three dimentional polyester fabric, these poufs are featured by the upholstery created by sewing a one or two-colour Rope cord in a spiral-like pattern. Series composed of armchair, deep seat and pouf. 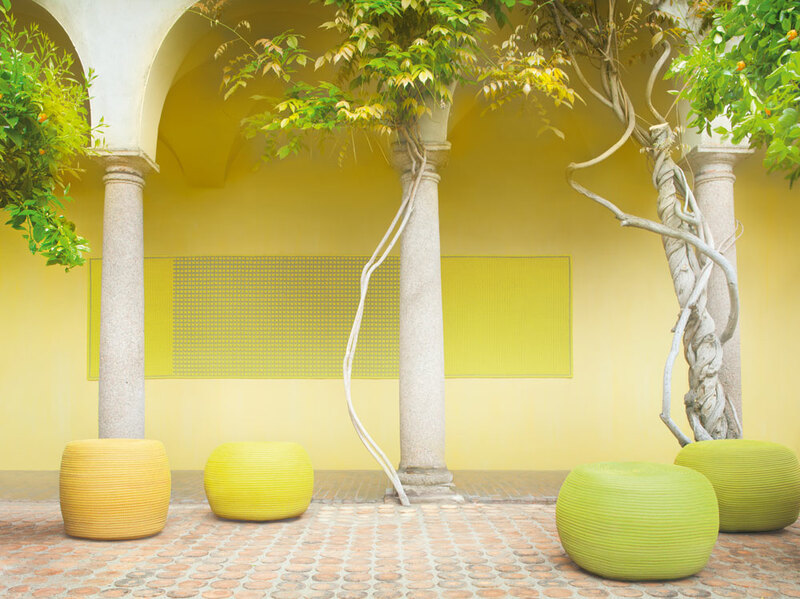 Successfully introduced in 2010, Afra is today a complete collection of seating elements for exterior environments. The cover hiding the steel structure is made of a Rope cord in solid colours or in two-colours combinations, sewn with spiral-like pattern. 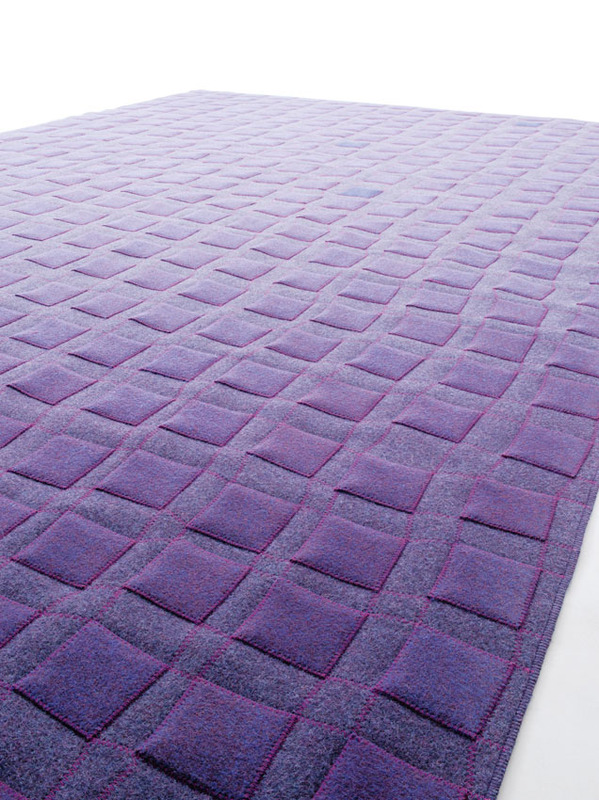 Entirely handmade rugs for interior environments. 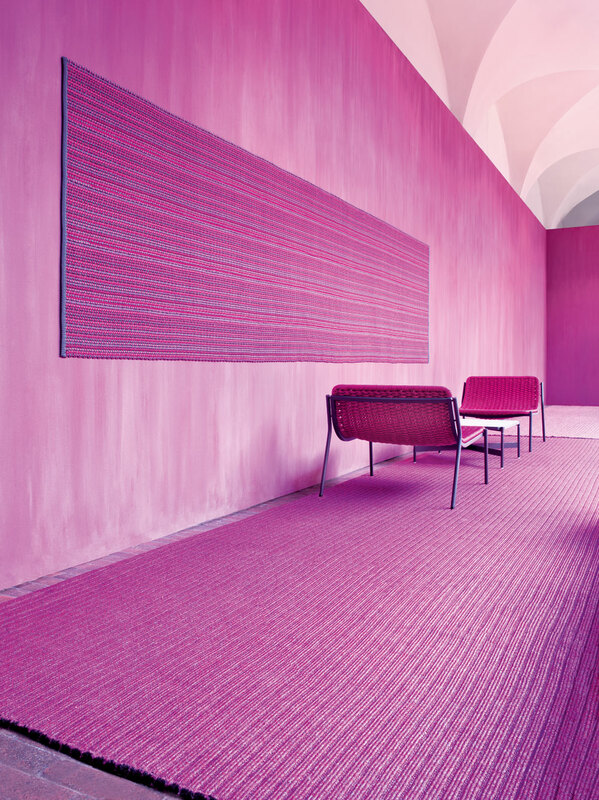 The historical collection of Felt rugs, one of the cornerstones of Paola Lenti production, is refreshed this year with new colours and patterns. 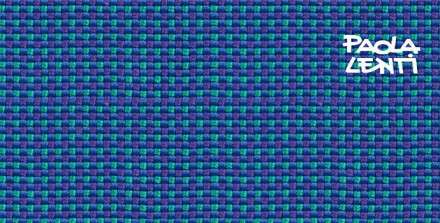 The introduction of new mélange tones is the opportunity to present also new décors; made of several superimposed layers which are sewn together with stitches that outline and embroider the surfaces, Paola Lenti 2012 Felt rugs collection are real masterpieces of handicraft and taste; they are the evidence of how a fabric can turn into a three dimensional surface, when is put into the skilled hands of those who know its characteristics. 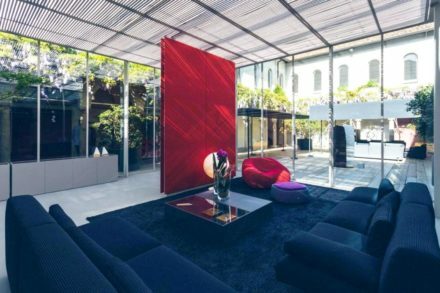 Some of the new rugs originates from the cooperation with Renato Morganti, who already designed wool rugs for Paola Lenti in 2011. 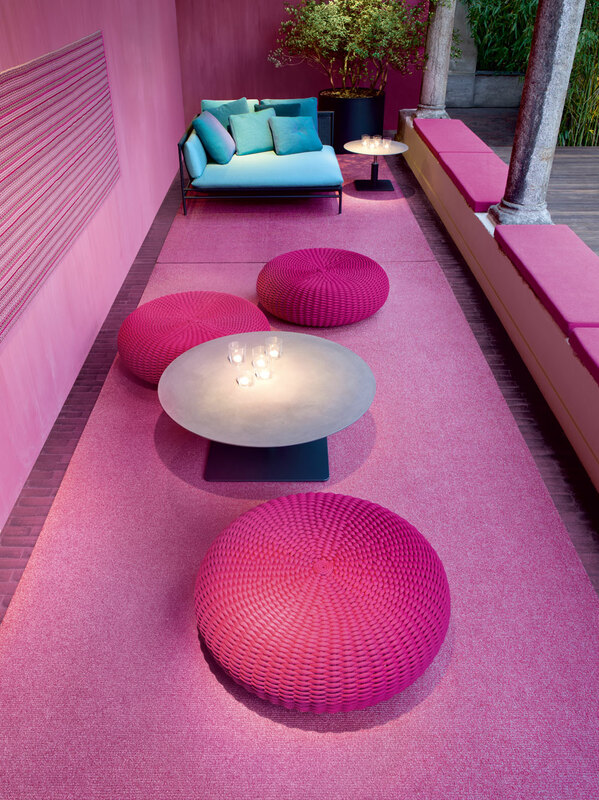 Hand tufted rugs for exterior environments. 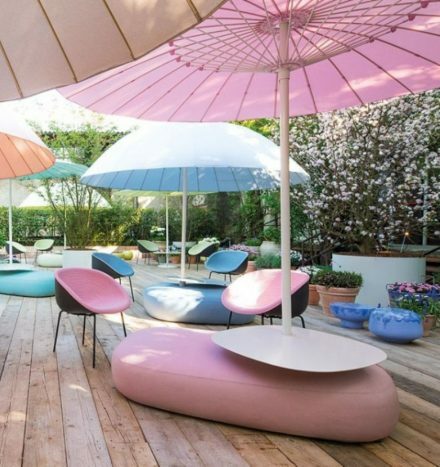 To play with colour to discover and propose new shades is since ever at the heart of Paola Lenti philosophy. 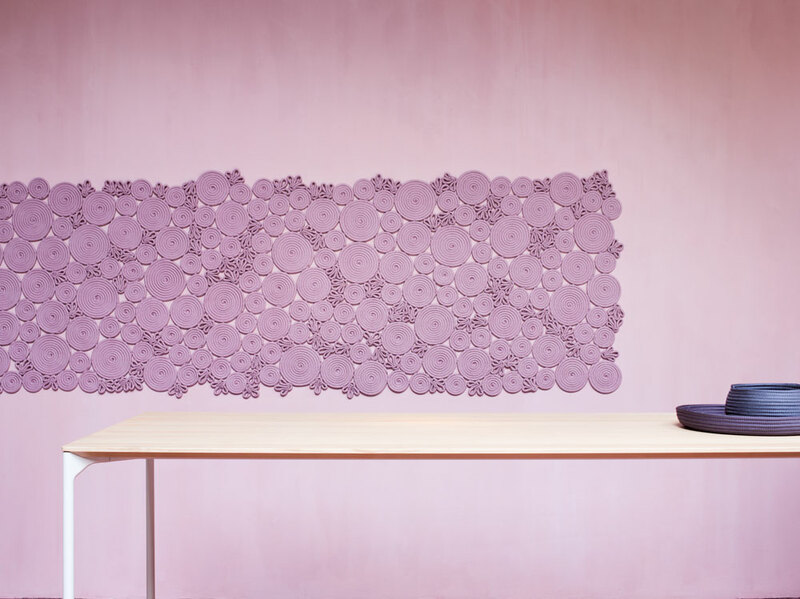 This collection offers simple and plain decoration objects that hide in them the possibility to transform in thousand different ways. 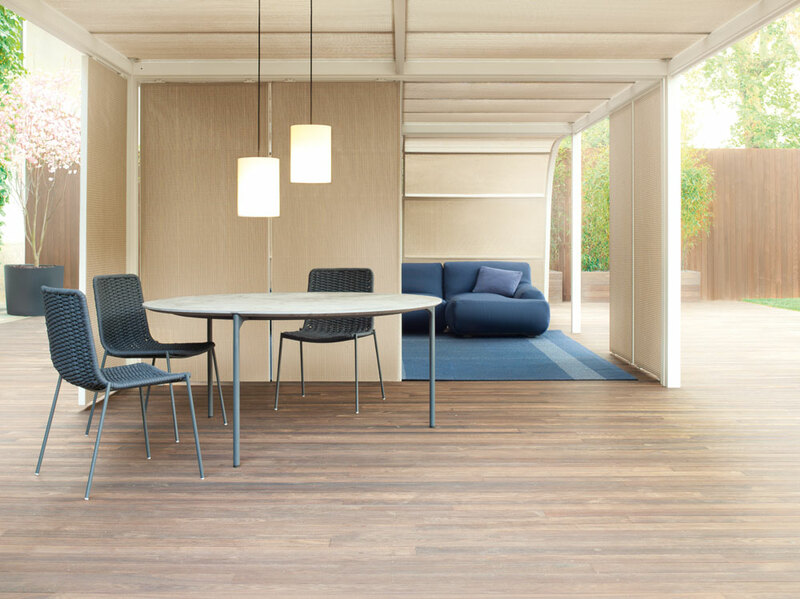 The pattern and shape simplicity is indeed combined with the infinite possibilities of choice among the available solid colours and mélange tones. 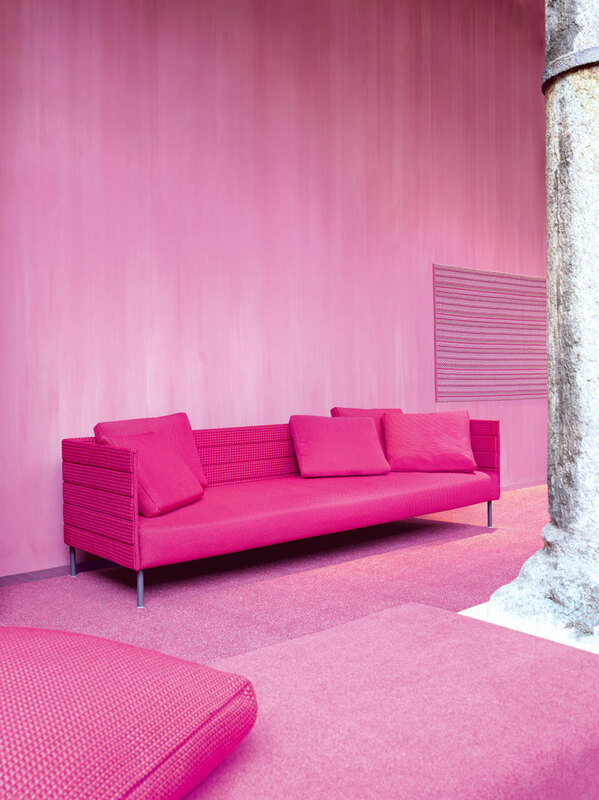 A personalization that can really be considered custom. These rugs for exterior environments are entirely embroidered by hand. 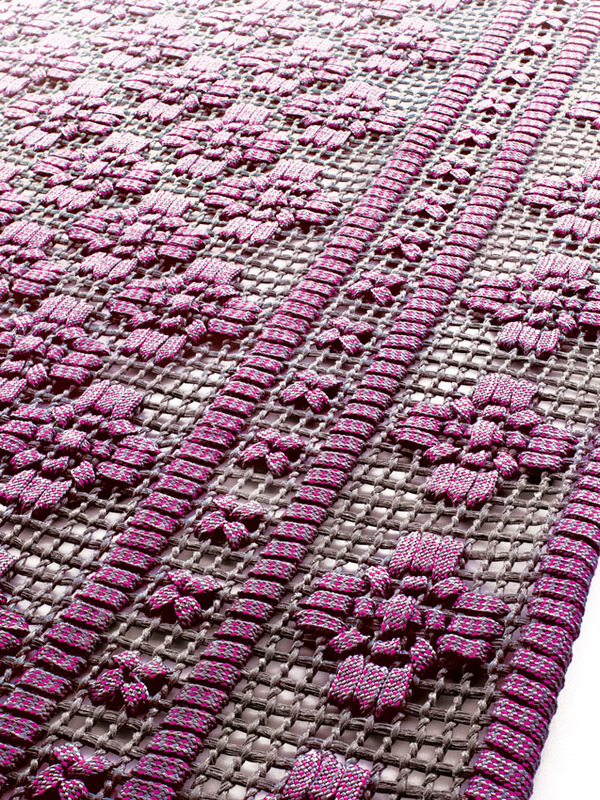 The embroidered rugs are a further evidence of the capacity of the company to merge handicraft and tradition to last generation materials. 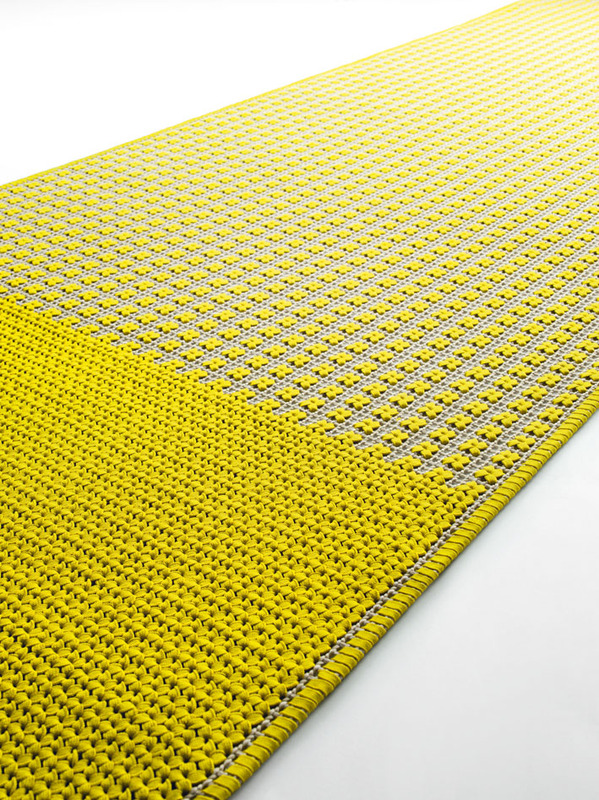 These rugs present a thick embroidery on an unprecedented scale and imply the application of materials very different from traditional ones. 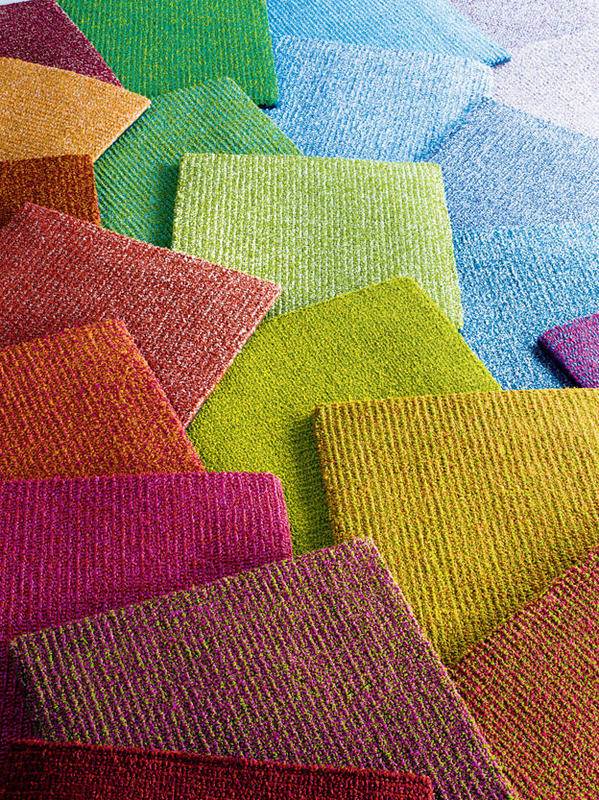 They are precious rugs which, thanks to the characteristics of these materials, can be used also in exterior environments.